In 2014, Marks and Spencer reported a 45 % increase in Prosecco sales. But whilst we are drinking more Prosecco than ever, how much do we actually know about the irresistible bubbly? To ensure that you have your facts straight, we prepared this little graphic below! 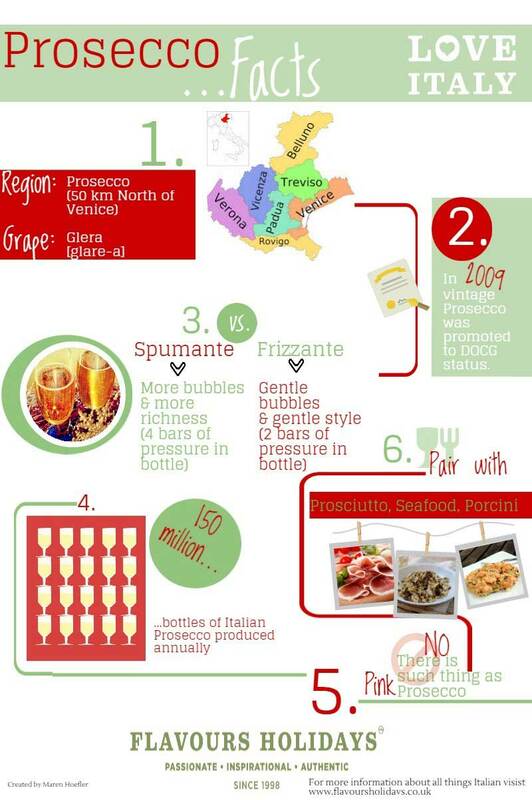 We definitely know now why Prosecco has become the drink of choice for so many, don’t you? Of course, these are just the basic facts. So, if you would like to learn more about the Italian wine, then join us on a cooking holiday in Venice. You will not only share a glass (or two) amongst like-minded people, but you will also learn more about the popular drink at a private Prosecco tasting. So, don’t miss out and download our brochure here or contact our experienced travel team today!